CLICK THE PHOTO FOR MORE PHOTOS TO SEE MY ASSEMBLY PROCESS!! Happy 4th of July, Americans! Summer is here & most girls, myself included, are annoyed that their make-up is melting off their face. 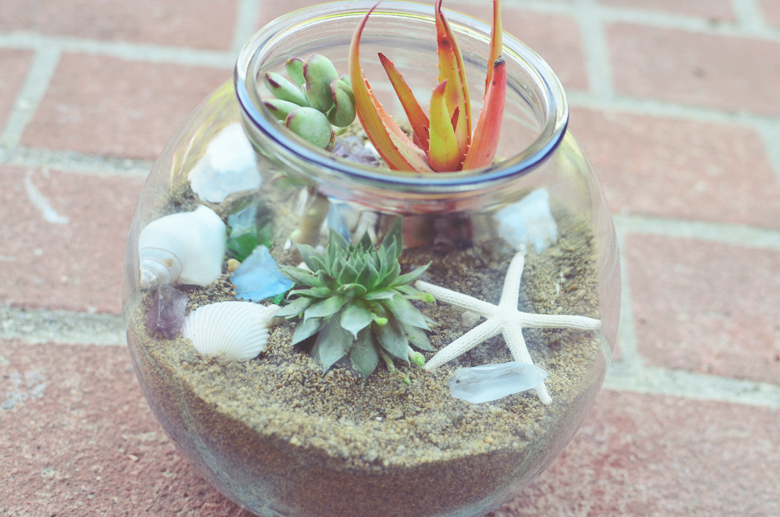 You can either lay around to avoid movement or you can try to decorate your home with some beautiful summery beach themed terrariums. 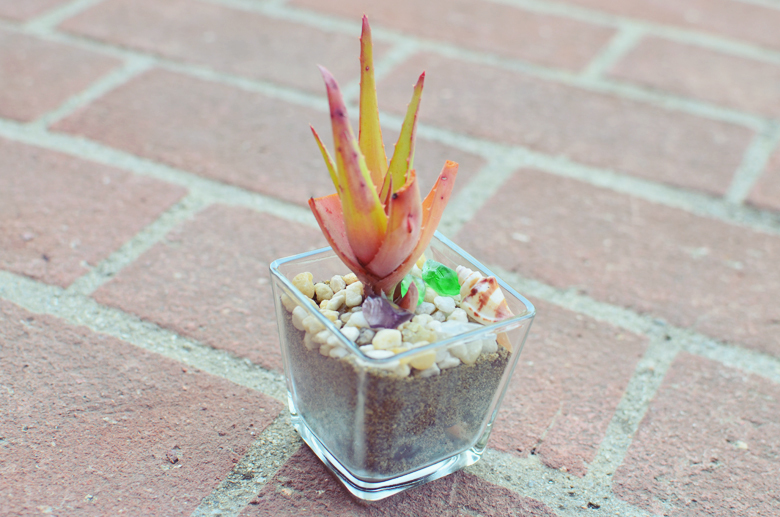 If you think playing with sand & succulents is going to make you too hot, then you can just sit this one out & enjoy an ice pop. Lazy. 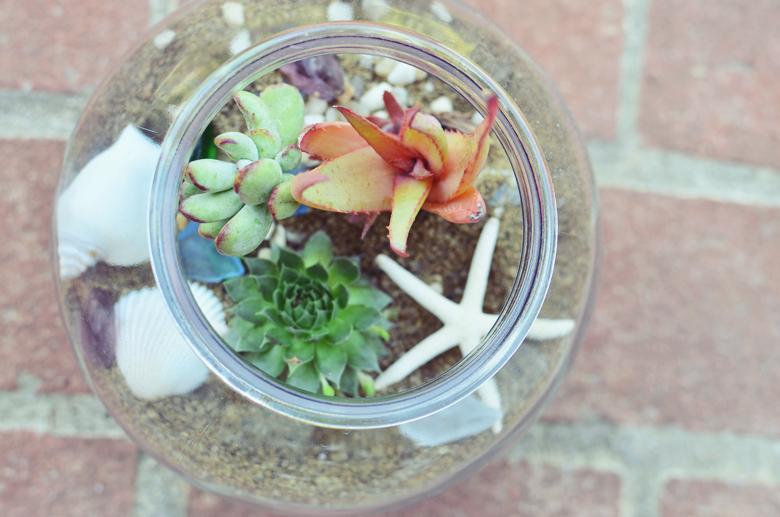 Terrariums are making a comeback & seem to be popping up nearly everywhere! Although my Herbal Terrariums germinated, I wasn’t completely satisfied with them. Herbs are a bit difficult to care for when they’re confined indoors to small spaces, which is why I decided I should try the traditional succulent terrariums instead. 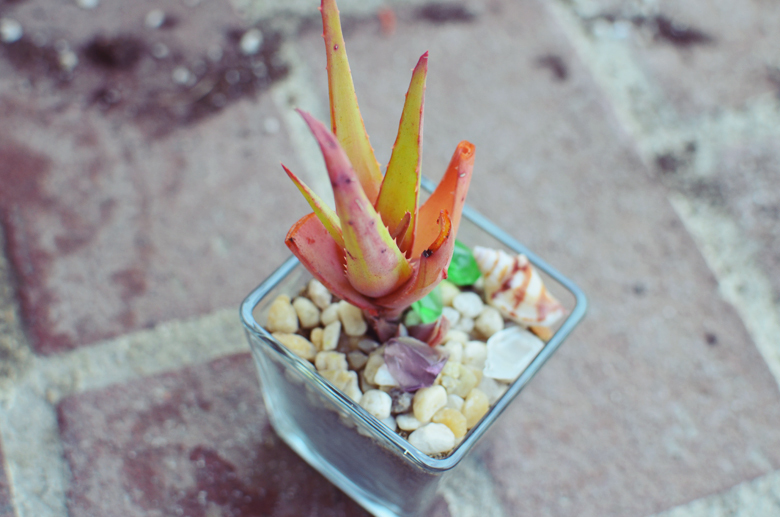 Succulents are native to arid regions of the world aka deserts. They thrive without needing to be watered every day as many will only require being watered once every 2 weeks. 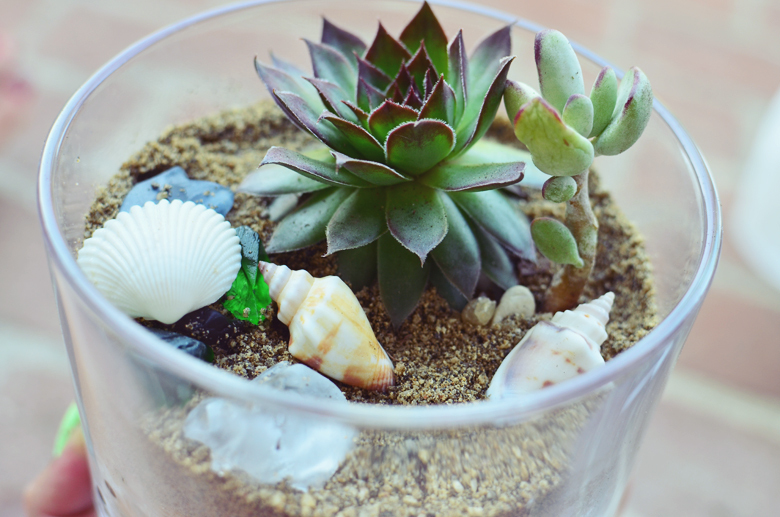 Since they’re such low maintenance plants, they’re perfect for terrariums. 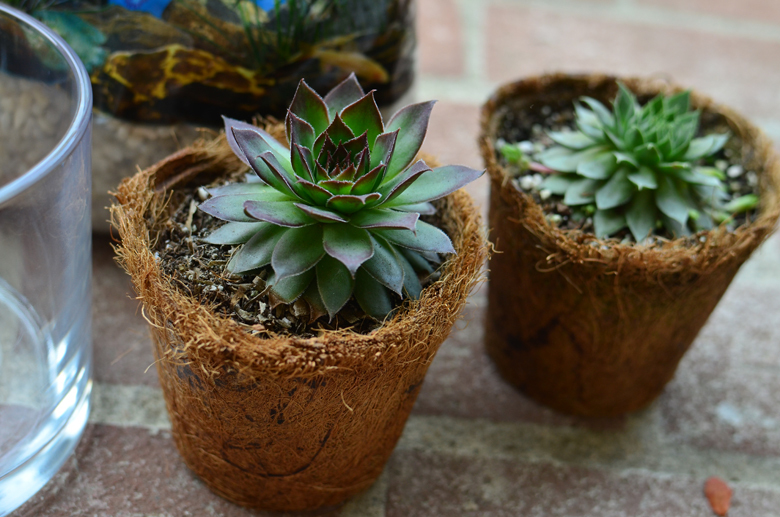 If you’re not sure about how to remove potted succulents, try finding some air plants instead. Planting those should be an absolute breeze since you won’t need to remove them from any dirt! 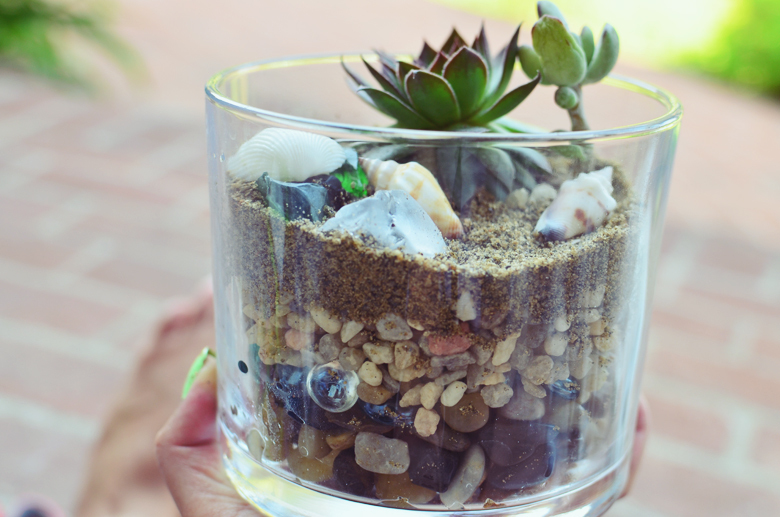 Without further ado, I present to you DIY (Do-It-Yourself) Beach Terrariums! See-through glass jars, containers, fishbowls, etc. 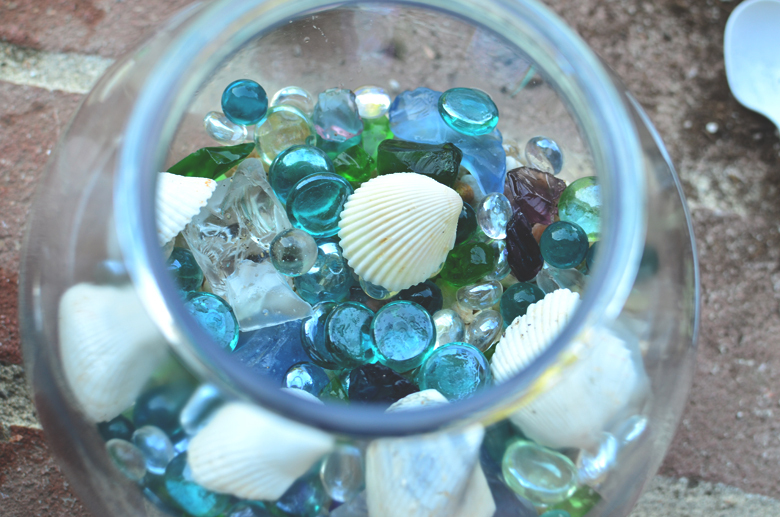 River pebbles, glass pebbles, decorative sea glass, etc. You can find succulents at your grocery store, gardening center, &/or, but not limited to, some home supply stores such as OSH. You’ll need to make a trip out to a gardening store or stores like OSH to find the activated charcoal & horticulture sand. Arts & craft stores should cover the rest of the things you need. 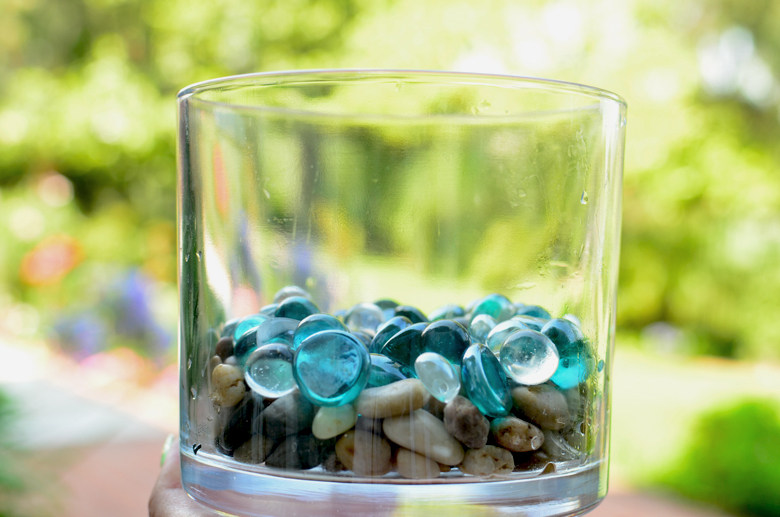 Clean & dry all of the glassware you plan on using as well as the decorative material. 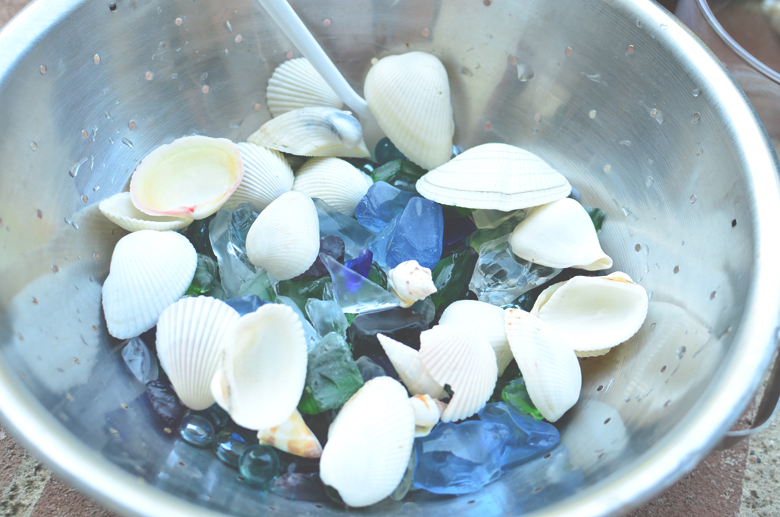 Seashells should be thoroughly washed as the salt remaining on the shells can add unwanted salt to the sand. 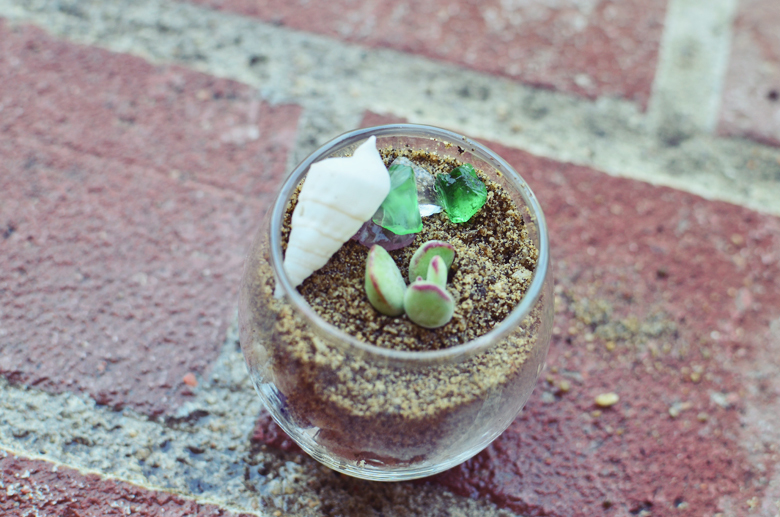 In order to create a drainage system for the roots of your succulents, place a layer of the pebbles in your glassware. If you have a lot of shells, you can also place those in too. 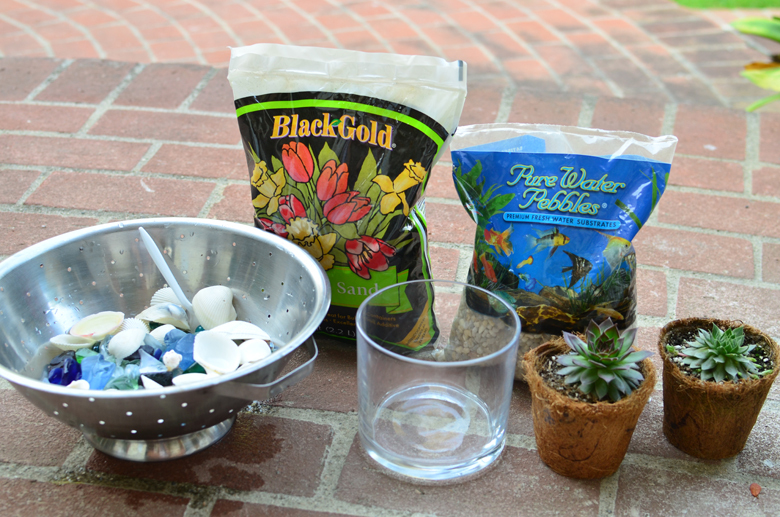 Next, scoop in a layer of activated charcoal into your terrarium. 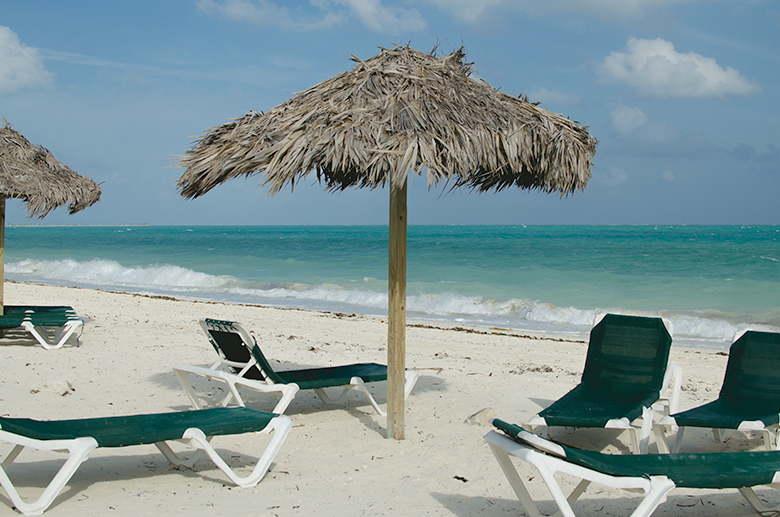 This will prevent mold from growing & it’ll enrich the sand. Layer the sand over the charcoal amounting to more than ~1.5 inches or so. 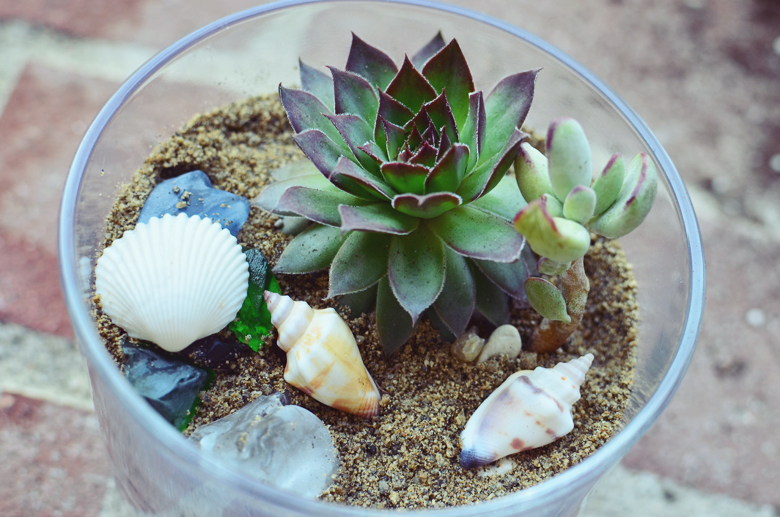 Using a small spoon or shovel, dig a hole through the sand layer to place your succulents. Cover up the hole with more sand. 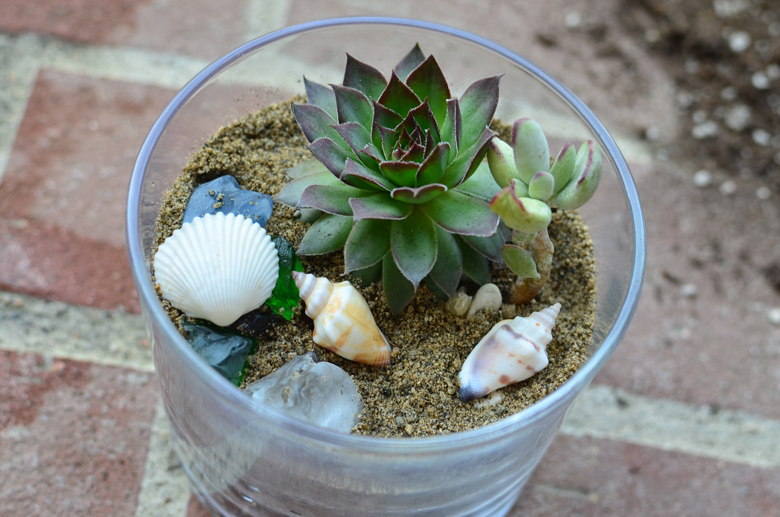 Once you’ve finished planting & placing your succulents, scoop in a thin layer of sand. 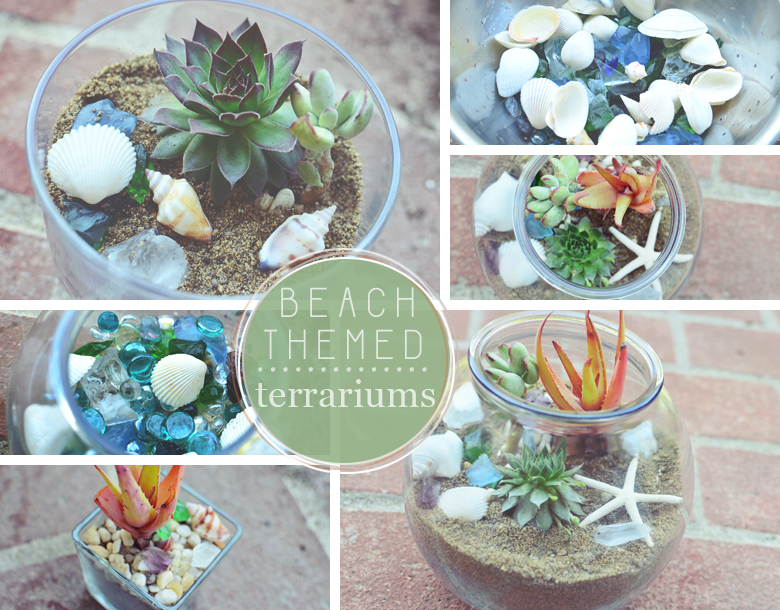 Decorate your terrarium with seashells or sea glass. Get creative & enjoy!